By the 1990s, public art had evolved far beyond the lonely monument on an open plaza. Now public artists might design the entire plaza, create an event to alter the social dynamics of an urban environment, or help to reconstruct a neighborhood. Dialogues in Public Art presents a rich blend of interviews with the people who create and experience public art--from an artist who mounted three bronze sculptures in the South Bronx to the bureaucrat who led the fight to have them removed; from an artist who describes his work as a "cancer" on architecture to a pair of architects who might agree with him; from an artist who formed a coalition to convert twenty-two derelict row houses into an art center/community revitalization project to a young woman who got her life back on track while living in one of the converted houses. The twenty interviews are divided into four parts: Controversies in Public Art, Experiments in Public Art as Architecture and Urban Planning, Dialogues on Dialogue-Based Public Art Projects, and Public Art for Public Health. 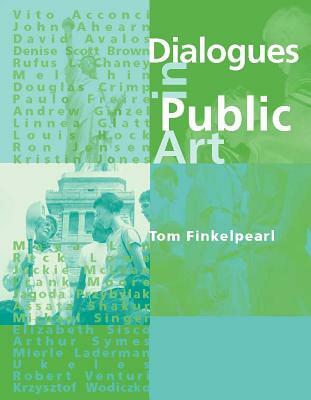 Tom Finkelpearl's introductory essay provides a concise overview of changing attitudes toward the city as the site of public art.